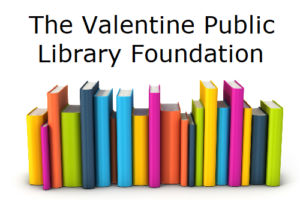 The Valentine Public Library Foundation exists to receive gifts, bequests, grants and property of any kind for the use and benefit of the Valentine Public Library. Why is the Foundation important? It is an investment in the library and in the community. It becomes a commitment to the future. The present Foundation Board members are convinced that everyone leaves a legacy of some kind. In regard to the Foundation a gift today is a legacy for tomorrow. The Valentine Public Library became a reality in 1921 and continues to be a vital part of Valentine today. Beginning with 600 books and one room, today the library houses nearly 30,000 volumes in a beautiful and functional facility. WHAT IS THE IMPACT OF YOUR CONTRIBUTION TO THE LIBRARY? to help the Valentine Public Library to maintain excellent services and to continue to be a vital presence in the community. While we look to public funds to provide the community with an “average” level of library service, we aspire to serve the community at an “outstanding” level. The Valentine Public Library Foundation was created to encourage private donations and bequests that will support the operations and activities of the library, providing that extra ‘margin of excellence.” Please consider supporting the Foundation either through a gift now, or through a bequest. 1. A gift of cash, securities or property for immediate or future use by the library. 2. 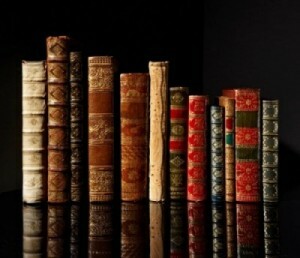 A bequest in your will or living trust to the Valentine Public Library Foundation. 3. Beneficiary designations of life insurance or retirement plan proceeds. 4. Gifts with retained income for yourself or others. 5. Monetary gifts can always be made in a loved one’s memory. How do I make out a check to the Valentine Public Library Foundation and where should I send it?